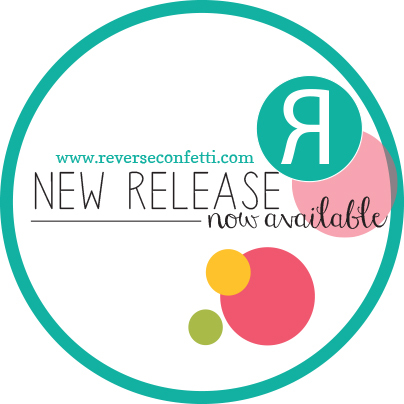 It's Confetti Camera day over on the Reverse Confetti blog! 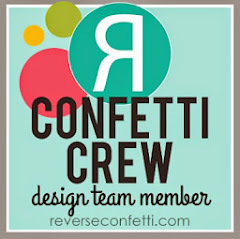 Confetti Camera is the weekly segment that features one of the Confetti Crew designers, along with an exclusive, themed project created just for this feature. Our theme this round is INSIDE & OUT. I hope you'll join me over there! 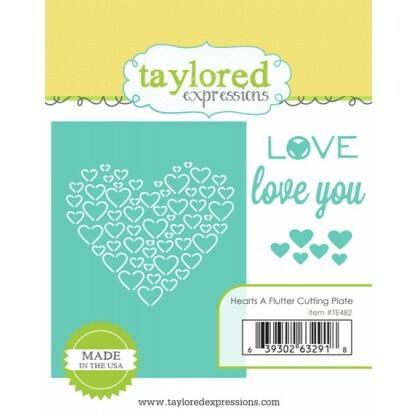 Please join me over on the Taylored Expressions blog today! 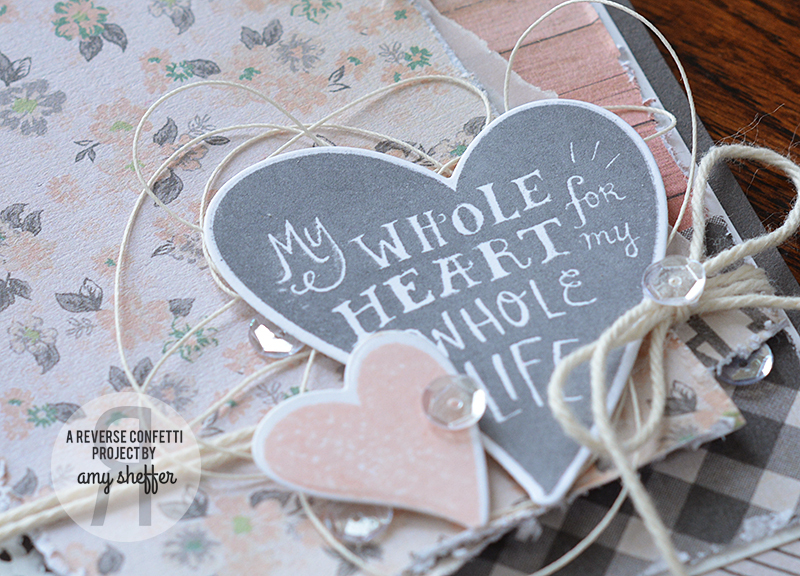 Here's a little peek at my project, featuring the gorgeous Hearts A Flutter cutting plate from Taylored Expressions. 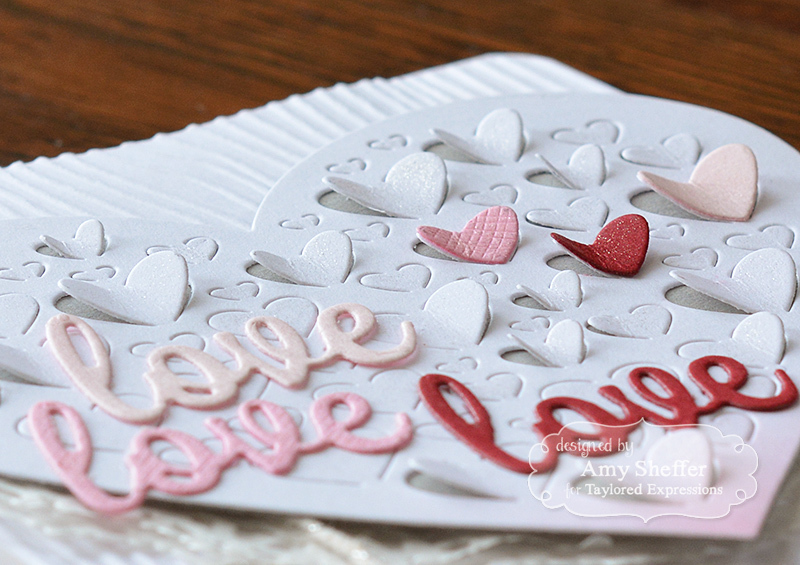 And if you're as smitten with this cutting plate as I am, you'll definitely want to enter the giveaway on the TE blog! 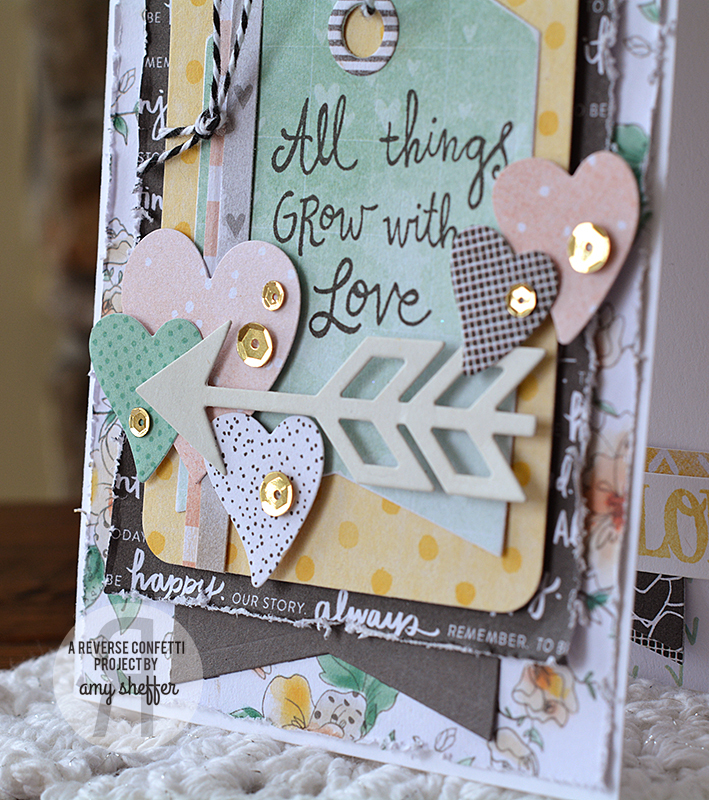 Reverse Confetti has a new floral set, LOVE BLOOMS, that I thought would fit perfectly. 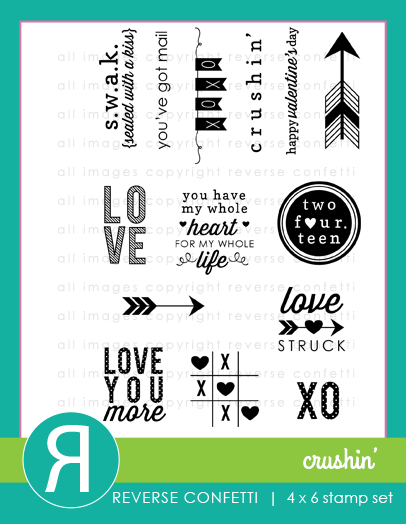 Turns out, as I got going, I kept gravitating toward hearts. 'Tis the season, I suppose! 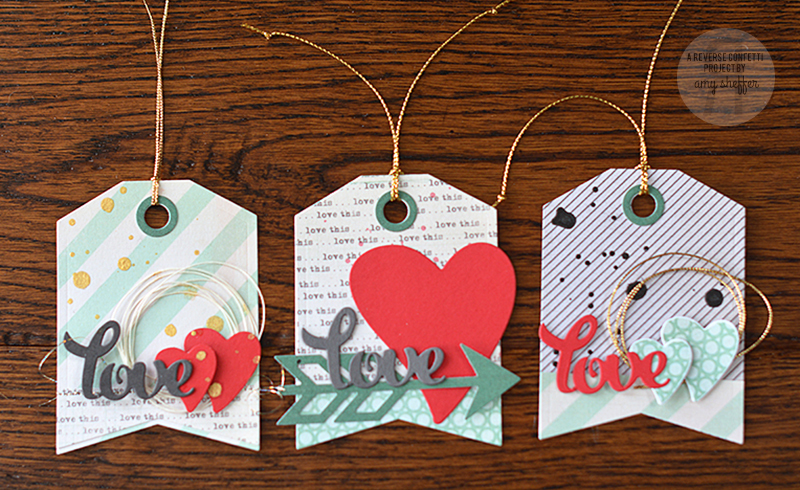 All three tags were first cut with the TAG ME Confetti Cuts die using two different patterns. 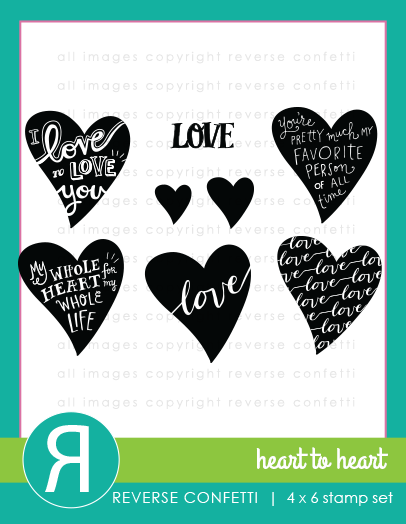 Tag 1 also includes a pair of hearts from the HEART TO HEART Confetti Cuts, along with the word "love" from the HEART LOVE PRETTY PANELS Confetti Cuts. I added a little gold splatter and some gold metallic stitching for fun. 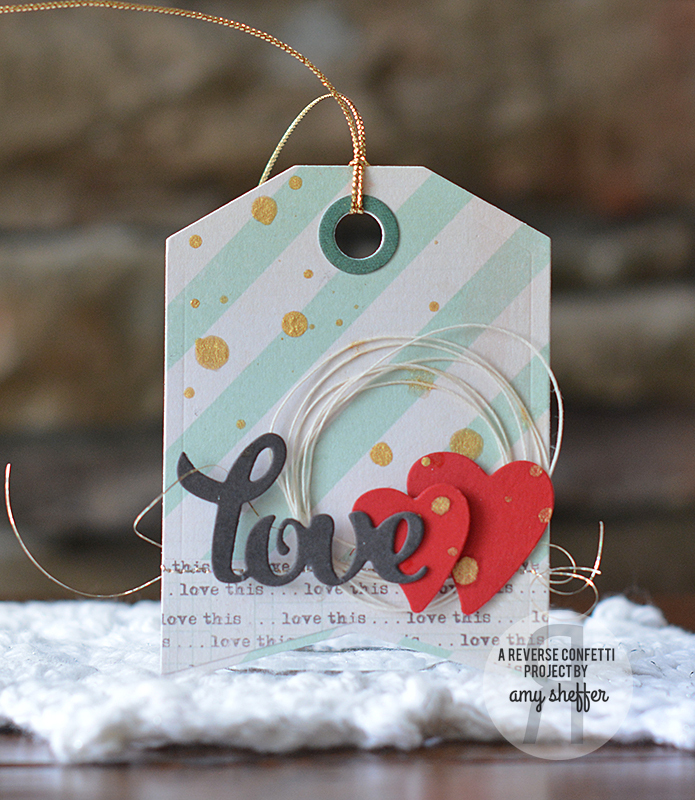 Tag 2 has a large heart (also from the HEART TO HEART Confetti Cuts die set) and an ARROW Confetti Cuts die-cut in place of the loops and heart pair. On a different topic -- I always enjoy the variety of crafty things my fellow card-makers also do, so I thought I'd share a sewing project I was busy with last week. My daughter's 5th-grade class put on an Aladdin Jr. performance, and so naturally, the parents were busy with all kinds of things: costumes, painting sets, gathering props, and such. 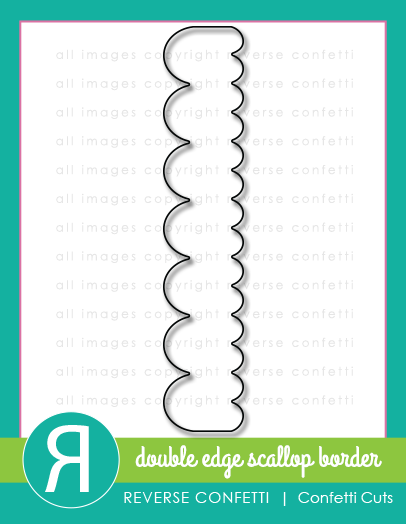 This was one of those things where I found some spare fabric in my basement and some basic instructions online (thank you Lori Hart Beninger), and thought 1) I know how to sew; and 2) it's just a flat piece with a border and layers, right? I do that ALL the time with paper ... how hard could it be? 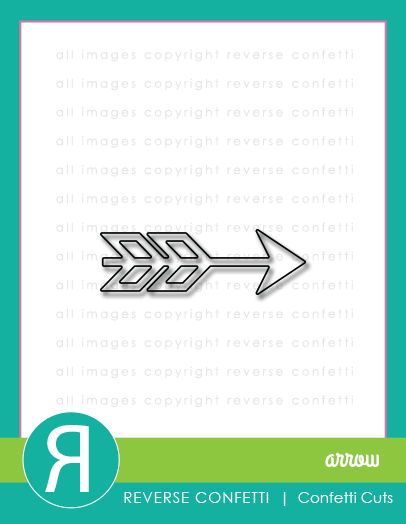 Turns out, it wasn't hard, just time-consuming. The first carpet probably took me 12-14 hours. The second one went much more quickly -- maybe only 2 hours, 'cause I knew what I was doing by then! 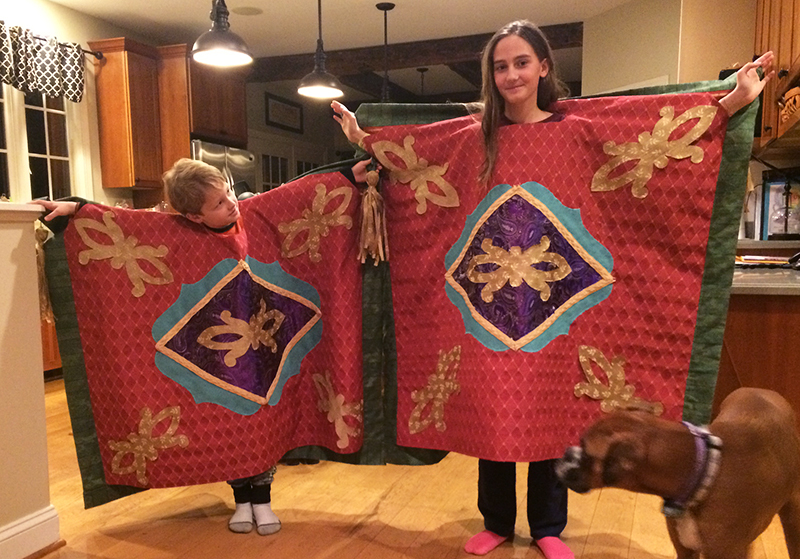 And if you ever need magic carpet costumes, I now have two! 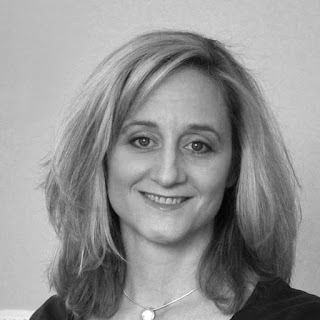 Penny Black Guest Designer - Final Day! 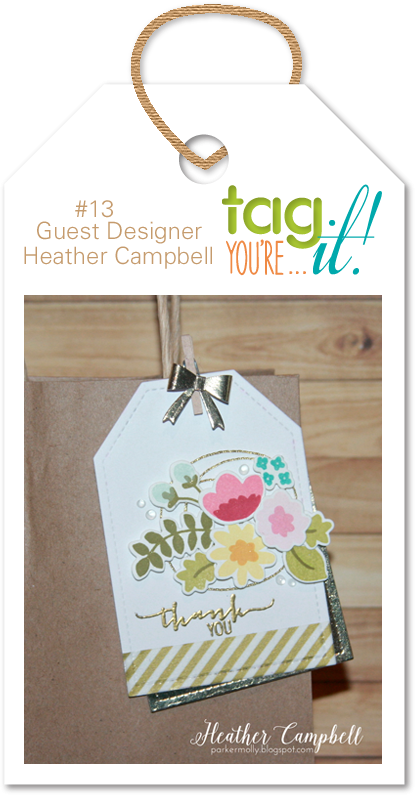 Here we are at the end of the line for my guest designer week with Penny Black. 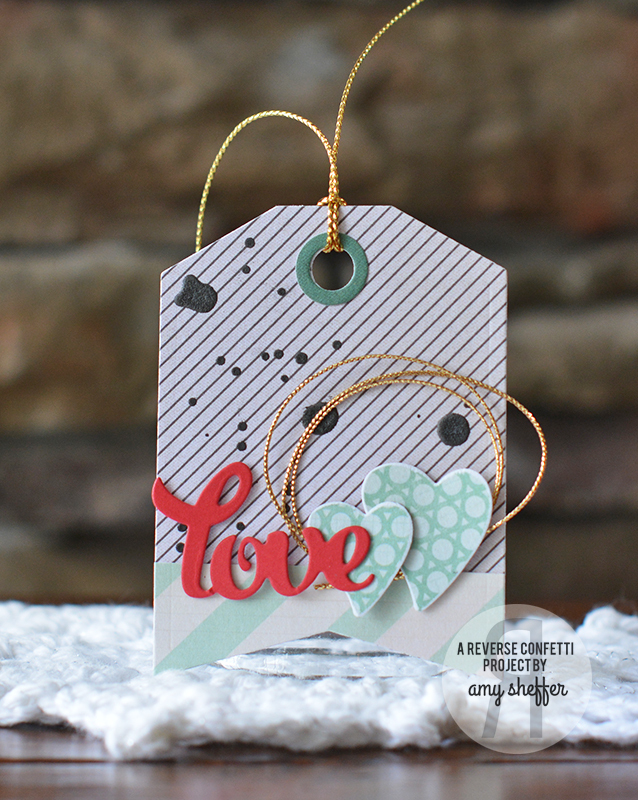 Please join me over on the Penny Black blog today for one final project, featuring the gorgeous Cupid's Wish die and a heart-shaped text collage stamp from So Very Much. Both products are from the new Love & Friendship catalog. 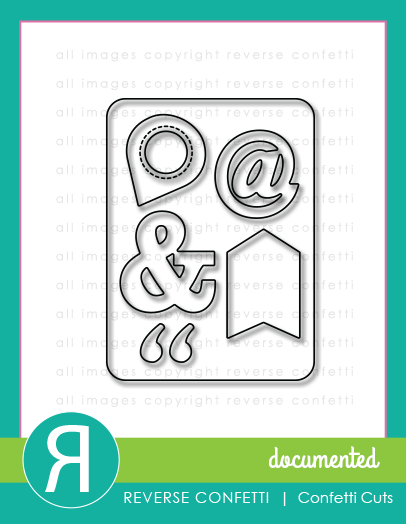 I have thoroughly enjoyed working with the fantastic variety of Penny Black products - stamps, dies, and stencils. It's been such an honor! 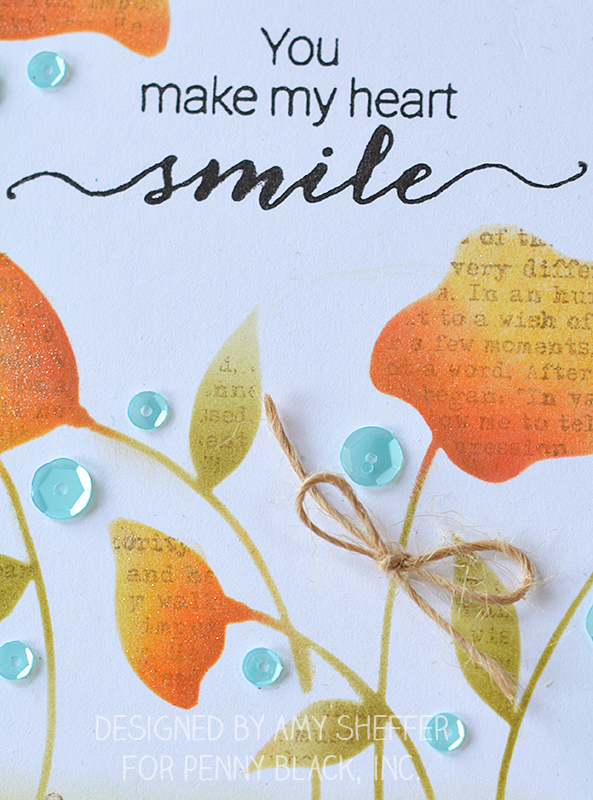 It's no secret -- I LOVE making cards. I can get happily lost in the creative process for HOURS! But we all know sometimes you just need (or want) to make something quickly. 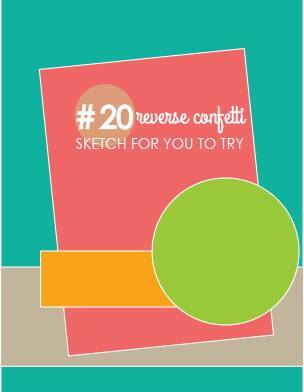 Reverse Confetti's new Quick Card Panels are perfect for creative quickies! For this card, I clear embossed the sentiment "oh, yea!" from HERE'S THE STORY onto the happy day Quick Card Panel. 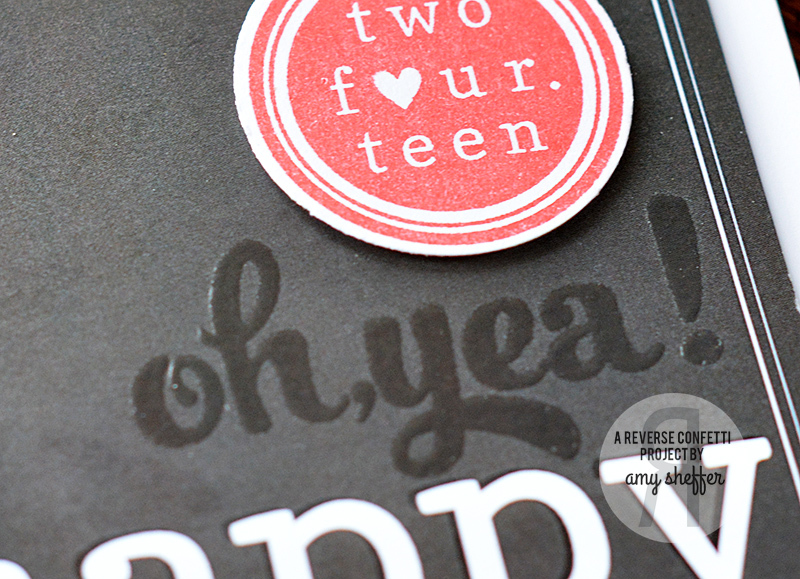 I stamped the "two fourteen" circle from CRUSHIN' in red, cut it out and popped it up onto the quick card panel. 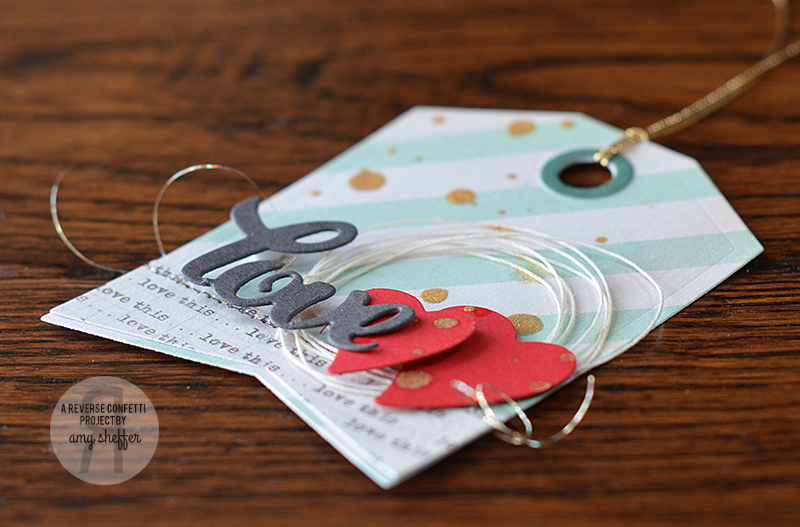 Then, for a quick accent, I added a twine hanger and a little flag that I die-cut using a die from DOCUMENTED. 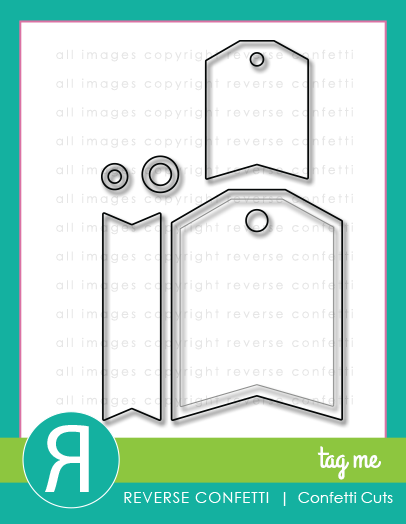 I rounded the corners of the quick card panel, then adhered it to a white card base. 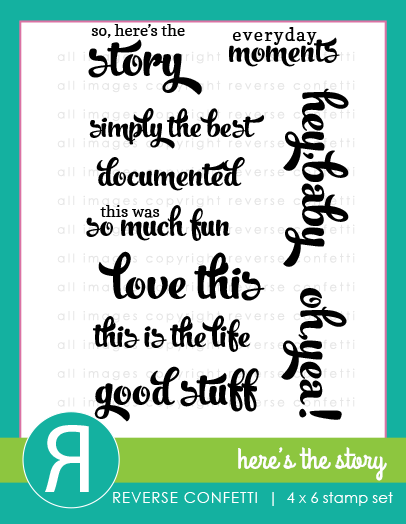 So quick, so easy, and so fun! This week has flown by! It's already Day Four of my week with Penny Black. 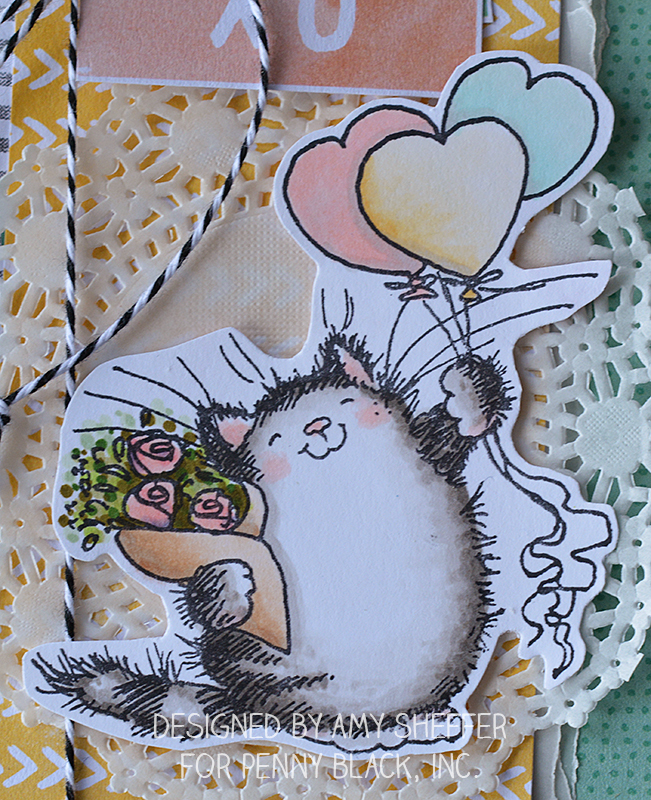 Today's card features a super sweet Mimi from the I HEART YOU stamp set in the Love & Friendship catalog. 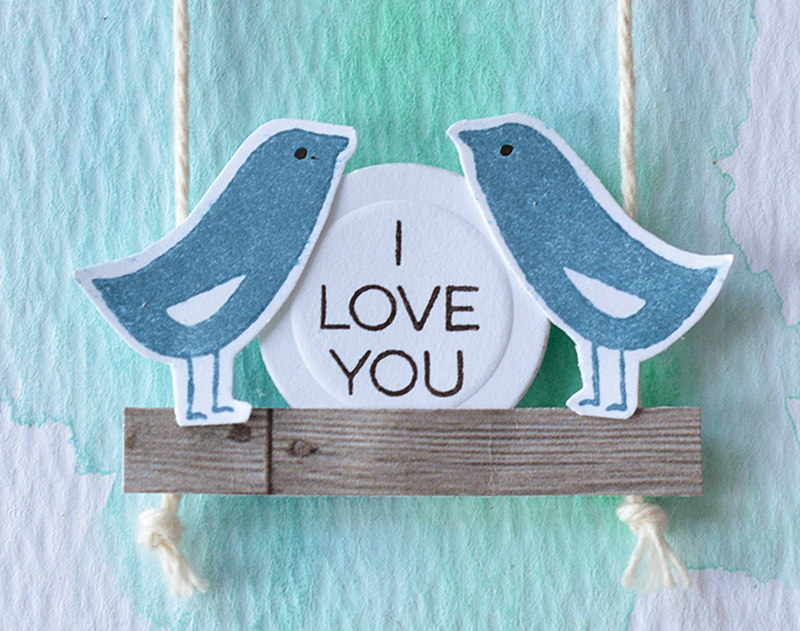 You can see the full card over on the Penny Black blog! 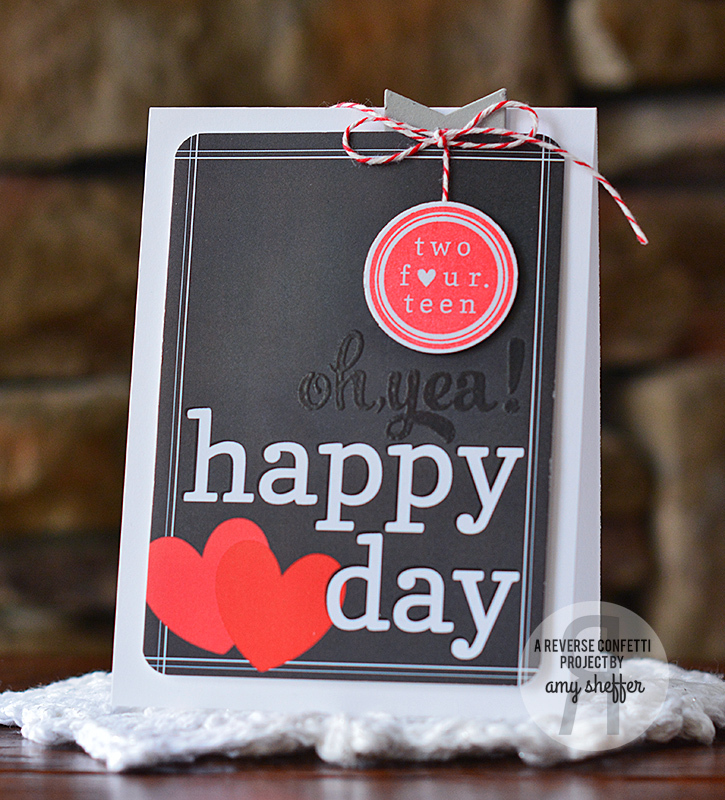 It's Day Three of my week as guest designer for Penny Black. 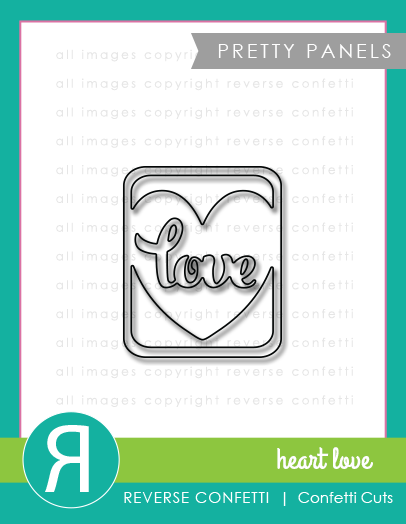 Today's cute image is part of the SHARE A HUG stamp set from the new Love & Friendship catalog. 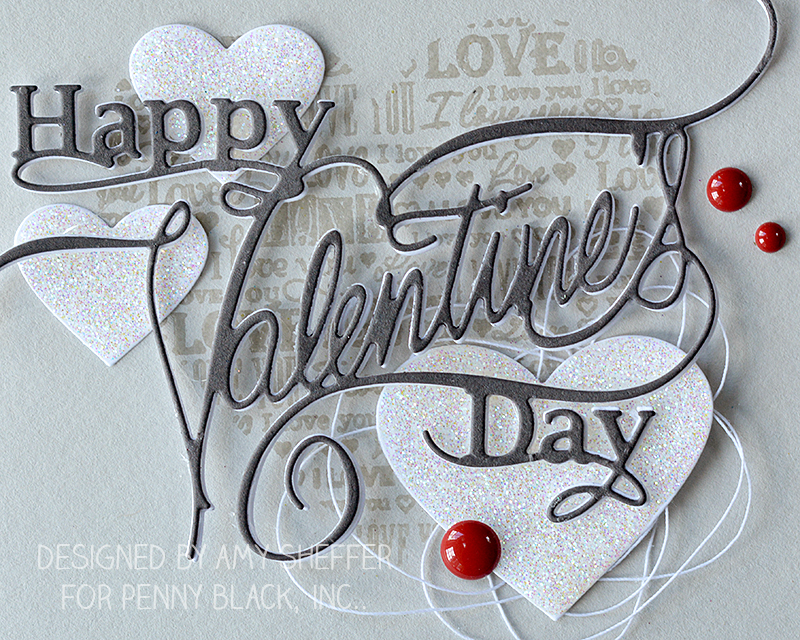 To see the full card, please visit me on the Penny Black blog. 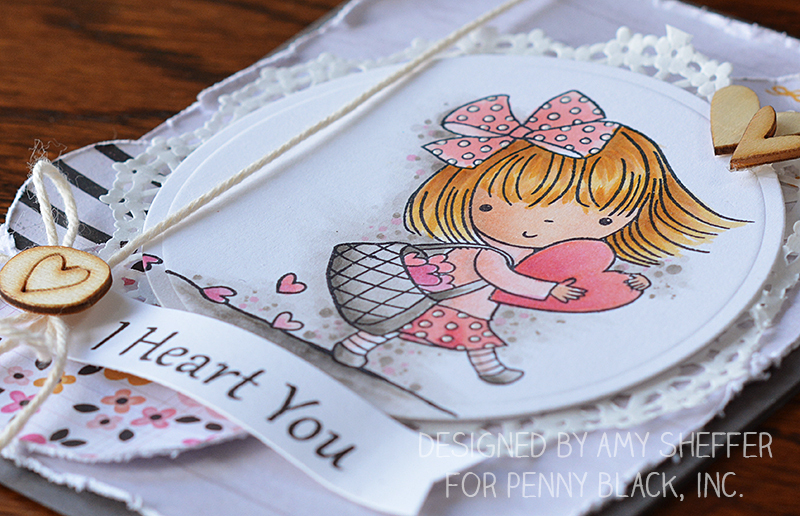 Please join me over on the Penny Black blog for my second day as guest designer. Today's card features a gorgeous die, ARDOR, along with the new SO VERY MUCH stamp set, all set against a lovely watercolor wash background. You can see the rest HERE on the Penny Black blog. Thanks for stopping by! 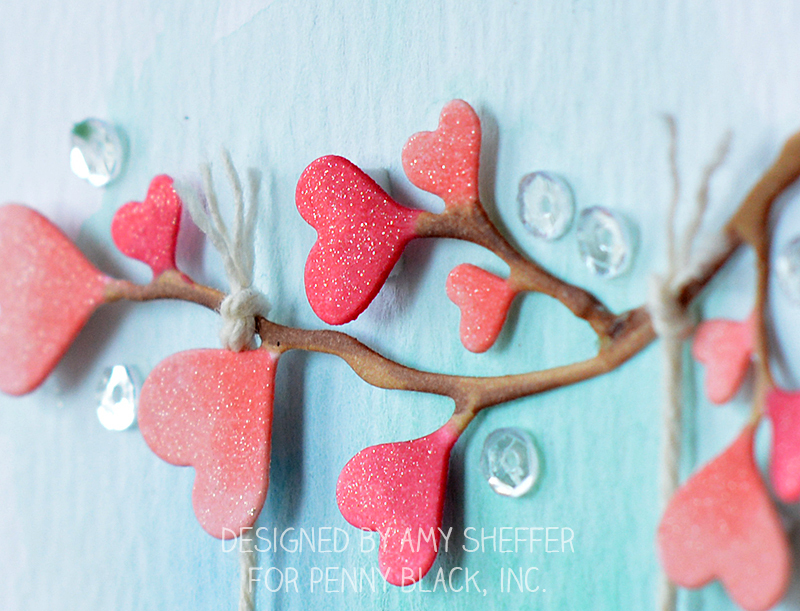 I am so thrilled today to share that I'll be a guest designer with Penny Black all week. Oh my wow! I'm sure I stand with many stampers who can say Penny Black stamps were among the very first in their collections. 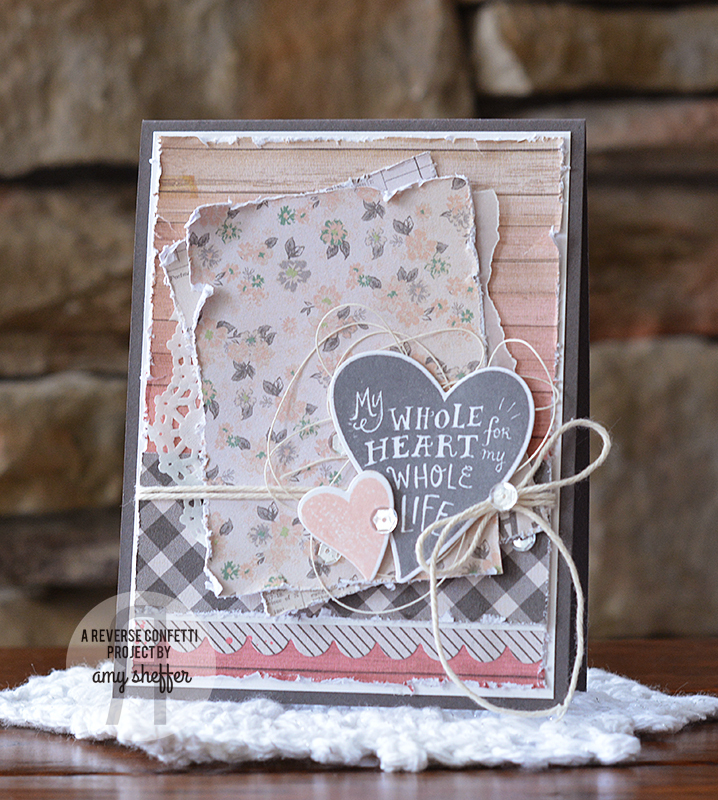 The lovely floral and nature images were the first to capture my heart, then came the critters, and now Mimi, and dies, and stencils, and more! It is such an honor to be featured on the Penny Black blog this week, and I invite you to join me over there! 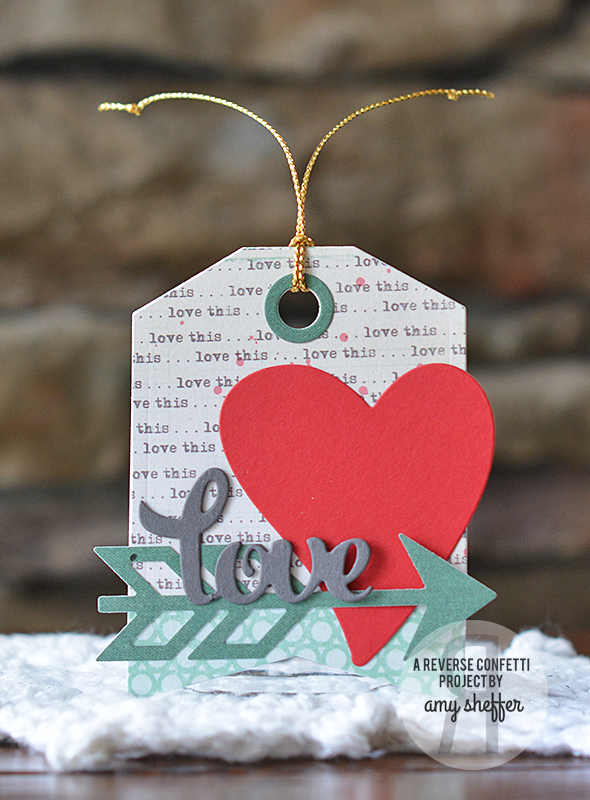 You can see the rest on the Penny Black blog! Thanks for sharing in my excitement! Have a fabulous week! Hey there, blog friends! 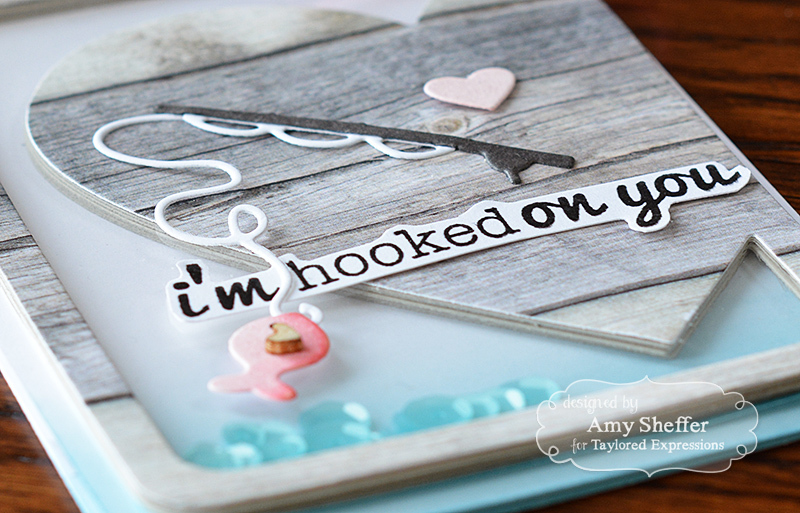 Where can you go fishing from a heart-shaped dock into a pond of aqua sequins and catch pink, sparkly fish? Join me over on the Taylored Expressions Blog to see! It's been a while since I last got my shabby on! 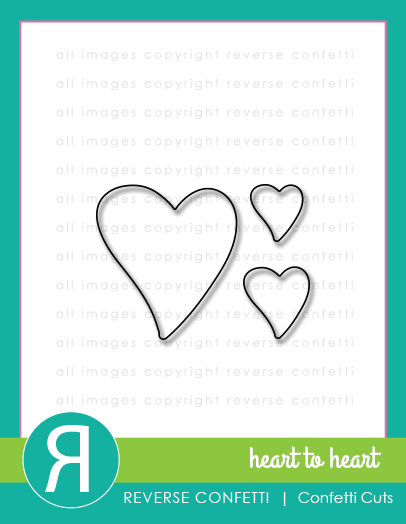 I've used the January Sketch For You To Try and some brand-new Reverse Confetti goodies: HEART TO HEART stamp set and coordinating HEART TO HEART Confetti Cuts dies. The sketch link list will be open from the 1st until noon CST on the 29th. The SFYTT button is posted on the sidebar of the Reverse Confetti blog. Click on it to be taken to the current SFYTT post and link list.